People spend at least six hours of their day in their bedroom. We should be spending at least eight there for a good night's sleep. My family spends about nine to ten hours there on a good night! Well, at least my baby does (we co-sleep). That's exactly the reason it is a good idea to create a bedroom environment that is healthy, free of pesticides and flame retardant chemicals. While you might not be able to control everything, like the carpeting if you live in a rental apartment for example, there are things you can control. Your mattress and bedding is a good place to start. While you are at it you might as well move on to the bathroom and get some organic towels too. The Clean Bedroom actually sent me some to review and to give away to one lucky Eco-Babyz blog reader! The Coyuchi Organic Towels are so amazingly soft! Though at first glance they do not look very plush, they do absorb a lot of water. They are made in India and I've noticed lately that a lot of good quality organic items come from there. Not only are they made from organic cotton, they are dyed using low-impact fiber-reactive dyes. The fixation or absorption rate of low-impact dyes is between 70-90% creating less waste water runoff and therefore a lower impact on the environment. They also require less water and less heat than other chemical dyes. This is a great 'late but worth the wait' Mother's Day gift. Even better, a gift for mom (or dad) on an ordinary day that isnot a holiday! Selection: I was excited to discover that The Clean Bedroom online store has an absolutely amazing selection of hard to find bed and bath products. These are not the kind of things you would find at your neighborhood home store. You'll find organic mattresses, organic pillows and bedding, decor and accessories, sleepwear and robes, and even eco-friendly furniture. As a mom I definitely appreciate their selection of organic baby nursery and kids room items as well. They even have your whole house covered when it comes to HEPA air purifiers. Value: Out of all the organic bedding retailers out there, The Clean Bedroom offers very competitive pricing. You can get an organic crib mattress without toxic flame retardants for as little as $283. 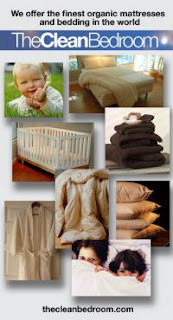 A natural latex crib mattress sells for $216! They also have an online clearance center where you can get items anywhere from 20 to 50 percent off. Company: The Clean Bedroom has an actual brick and mortar store in Maine that I am looking forward to visiting someday. There are very few places you can actually try the organic mattresses in person, this is one of them. All of the companies whose products they carry have been carefully selected and hand picked. The folks at The Clean Bedroom are also a great resource to advise you on which organic mattress to choose to make the most of your investment and to suit your needs. One Eco-Babyz reader will be a proud owner of an 8 piece Coyuchi Organic Towel Set! MANDATORY ENTRY: Go to The Clean Bedroom website and tell us in a comment which other product on their site you like and what color towels you would choose if you win. You can also 'like' Eco-Babyz and The Clean Bedroom on Facebook, but this will not count toward an entry because of new Facebook Promotion Guidelines. Contest ends at 11:59pm EST on Thursday, May 20th. The winner will be selected using Random.org on Friday May 21st and notified by email (make sure I have a way to get in touch with you!). Open to US residents only! Thank you! I really want the Children's Organic Pillows and the wool pillows from the company. If I won, I would like any color honestly, but white, tan, green would be my favorite (: I am hoping to win because I am in so in need of these towels ! I would also love the Coyuchi Non-Hooded Organic Terry Velour Robe! If I won I would pick the taupe color. I would love the Organic Cotton and Linen Shower Curtain in Birch. If I won I'd have to go with the green towels, they match my bathroom! I would love the Taupe towels. I am drooling over the Savvy Rest Serenity 10-inch Natural Dunlop Latex Organic Mattress too! I love the 100% Organic Cotton Robes and would want the willow green towels. Just lovely!! Would go for the mattress if I could. My son has asthma so it sounds like it would be better than sleeping on a plastic cover! Also, love all the towels but the green ones seem very pretty! I would pick the Willow Green or Taupe towels if I won. I love the organic crib mattress pads! I love the Natura wool pillow. I love the taupe or willow green towels. I like the Organic Cotton mattress from Naturepedic. I'd like the towels in Willow Green. I follow on Google Friend Connect (Kat McLean). I subscribe by email #1.
finally got this to work!! yay! I would like a robe too. looks comfy. I love the Amenity™ Organic Duvet Cover in Cream/Cocoa! I would love the towels in Taupe! I follow @TheCleanBedroom on Twitter! I like all the organic sheets, especially the Naturally Organic 410-threat count sheets in Champagne. If I won I would like the Juniper Blue organic towels! 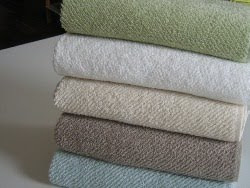 I would love to try the Naturally Organic Wool Topper and I like the willow green towels. I would also get the Under the Nile Organic Cotton Blanket. My towel color is juniper blue. I love the willow green towel! Also love the organic mattress! I like the amenity organic duvet covers and I would chose the juniper blue towels. I can use the Patricia Green Shaglicious Spa Slippers. I need new slippers and those look comfy. I would like the Juniper Blue Towels. I like the Coyuchi™ Organic Duvet Covers from Clean Bedroom. I would like the towels in Juniper Blue. Savvy Rest Serenity Pillowtop Talalay Latex Mattress - King -- a tired mum sleeping on an old toxic bed can dream, no? I like the Naturepedic Quilted Organic Cotton Deluxe Mattress. If I win, I would like the juniper blue towels. I like the Coyuchi Organic Cotton Night Shirt. I would pick the Juniper Blue colored towels. I would choose the Taupe Towels. They're cotton/linen blanket also sounds like it would be GREAT to snuggle up in!! More realistically, I'd like the Under the Nile organic cotton blanket. I bought one two years ago and as soon as I took it out of the box, I was blown away by how soft and warm it was. For someone who doesn't use wool, it was the PERFECT alternative to a high-end fleece blanket to keep us warm at night or to curl up in while studying on the couch. Unfortunately, I lived in a dorm at that point and the 1980's-era agitator washing machines and dryers with only one setting--'Fiery Hot High--destroyed it. I would protect that blanket like a baby if I got another. The color towel I'd choose is Taupe, as it's versatile and doesn't stain easily (we tend to be of the "Quick! Hand me the nearest towel! I just spilled something everywhere!" variety). I like the juniper blue, but we're painting our bathroom blue and that would just be too much blue, I think And quite frankly, we need towels. Bad. My fiancé is, alas, a male, and he has questionable cleanliness habits. He uses the same towel for weeks, and that's gross. The constant process of wetting and slowly drying all bunched together on a rack has made them smell like a poodle who drowned in a lake, no matter how many times they're washed. This year will be the first year we do all our laundry together, and I really don't want his nasty male-ruined towels to be washed with mine. No offense to males who actually know that you should regularly wash your towels. Um...yeah. I'm jeanieg88 at gmail dot com, and I've been loving The Clean Bedroom for so long now. We would LOVE the towel set in white -- they would look great in our newly renovated bathroom! If money were no object, I would buy the Natura Eco Transcend Natural Latex Organic Mattress at The Clean Bedroom store. How nice it would be to wake up in the morning and be comfortable enough to stay in bed a little longer! I also like the Naturally Organic 310-Thread Count Damask Organic Sheets. As for the towels I would choose them to be in Taupe. I like the Natura Natural Pet Beds and I would like white towels if I were to win. The 'Willow Green' towels are especially lovely. I would also like the 'Pacific Rim Non-Toxic Trundle Bed.' Thank you! I'd like to consider buying the Coyuchi Non-Hooded Organic Terry Velour Robe - love crisp, white towels if I won! I am in love with the Amenity Birdseye Cove Duvet Cover - Cream/Cocoa, and I would pick the ivory towels. I subscribed to http://www.eco-babyz.com/2010/04/intelligent-nutrients-giveaway-on.html, Id love to win the Ivory towels, i WOULD ALSO LOVE TO HAVE THE Austin Air HEGA Allergy Machine Jr.. I would love to have one of the Brahms Mount Wool Blankets. I would choose the Willow green towels. I would love the Rejuvenation Organic Pillow - good for side sleepers (me!)! For the towels, Juniper Blue is my pick. Sweetmelbelle31 visited The Clean Bedroom and really liked Sierra Bed frame. Gorgeous! If I won I would love to have the Taupe color. 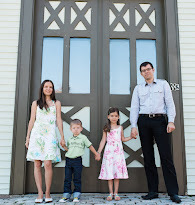 Sweetmelbelle31 is a follower of EcoBlogz on Twitter. sweetmelbelle31 is following thecleanbedroom on twitter. Sweetmelbelle31 is following Eco-Babyz on Google Friend Connect. Melissa Belle liked The Clean Bathroom on facebook. Melissa Belle has liked EcoBabyz on facebook. sweetmelbelle31 is subscribed and confirmed via email. I like the nutra sound machine and the willow green towels! I love the organic pillows. If I won, I'd like green. I would like Organic Cotton & Natural Rubber Futon..if I won, I would like juniper blue. I love the 100% organic cotton adult robe! My favorite color for the towels is green. I really like the West Paw Design Eco-Slumber Pet Bed..I love that it's machine washable too! I'd love the towels in Juniper Blue. I'd really like to get a Naturally Organic Natural Latex Pillow. So comfy. And the towels I would love to have in white or ivory. Thanks! I follow you on twitter. I'm rosiegirldreams. oooOOOhh! I'd love to get an organic cotton mattress pad. And the towels in Juniper Blue! I really like the Under The Nile Organic Frog Washcloth. I would pick the blue towels. I like the Pacific Rim Non-Toxic Trundle Bed. I'd choose willow green if I won. I would choose the Indika Luxury Organic Duvet Cover. If I won the towels, I'd choose white. Thanks for the chance! I'm a GFC follower. Thanks! I would love to own one of the Cotton Bath Robes. If I won the towels, I would choose the Taupe color. Thanks so much! I like the Airfree Air Sterilizer. I would like the ivory color towels. i like the linen shower curtains and i would choose taupe! I like the Coyuchi Non-Hooded Organic Terry Velour Robe and would choose the willow green towels. Thanks for the giveaway. I love the Naturally Organic Cotton Quilt. I would pick Juniper Blue. I also love the Natura Sound Machine and I would choose the taupe towels. I would love to have a Natural & Organic Comforter. I would choose towels in juniper blue. Thanks. I like the Ivory and Juniper blue the best. I love the Amenity™ Fern Organic Duvet Cover - Cream/Peacock. And the towels in white! I follow you on Lunch. I like all the organic sheets, especially the Naturally Organic 410-threat count sheets in Champagne. I would love the towels in willow green or taupe! I would like the Organic Cotton Robe. I would like the towels in taupe. I like the organic cotton sheets. I would choose Juniper Blue. I like the West Paw Design Eco-Slumber Pet Bed and if I won I would pick the white. I would love to try their COYUCHI Organic Cotton Sheets. If I won the towels, I'd love to gt them in taupe. Thanks for the giveaway. I like the Naturally Organic Natural Latex Pillow and I'd choose the Taupe towels. I like the organic cotton nightshirt. My towel color choice is taupe. I also love the Pearl Crescent Hydro Down Comforter from The Clean Bedroom. I would love to have the Taupe towels. I am following The Clean Bedroom via Twitter as jlsc123. I am subscribed via email as jweezie43[at]gmail[dot]com#2. I have subscribed to The Clean Bedroom Catalog Mailing List. Naturally Organic Pure Wool Comforters. Juniper Blue. Natura Sound Machine and the blue. Looks like heaven! I really need a new bed. Thank you for the giveaway. I'd choose the color Willow Green. I like the Comfort Plus Wool Mattress Topper. Would choose the Juniper Blue towels. I would like to have the Natura Organic 'Super Comfort Plus' Wool Mattress Topper---and for the towels I would choose juniper blue. I like the Willow Green. The Natura Washable Wool Comforter - Queen looks wonderful. I'd choose the juniper blue towels if I won. The Natura Washable Wool Comforter - Queen looks wonderful. If I won, I'd choose the juniper blue towels. Love the Maple Corner Woodworks Platform Beds & Bed Frame- gorgeous, and I've been looking & longing for a platform bed! Definitely bookmarked! I would get the organic dust mite cover and the Juniper Blue towels.